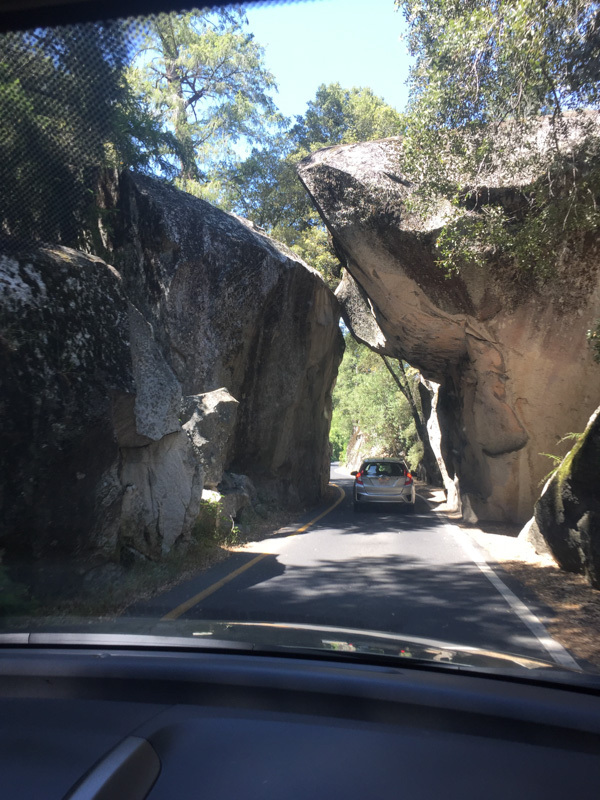 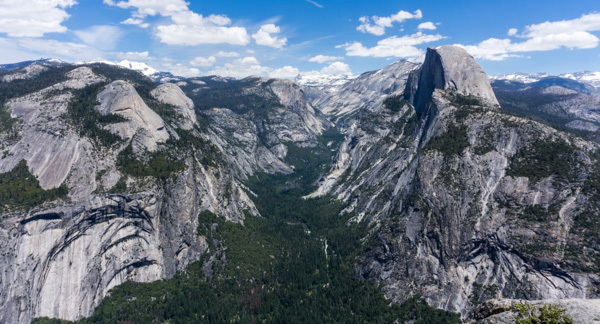 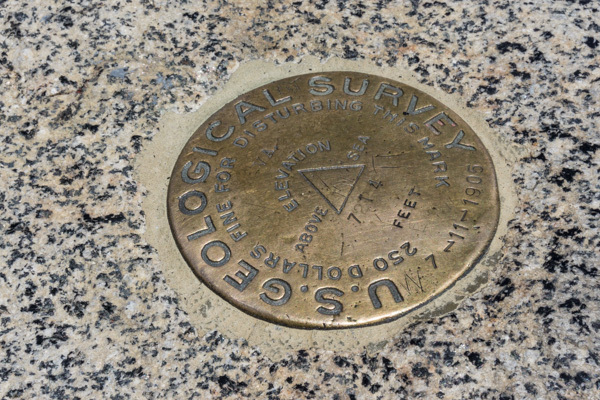 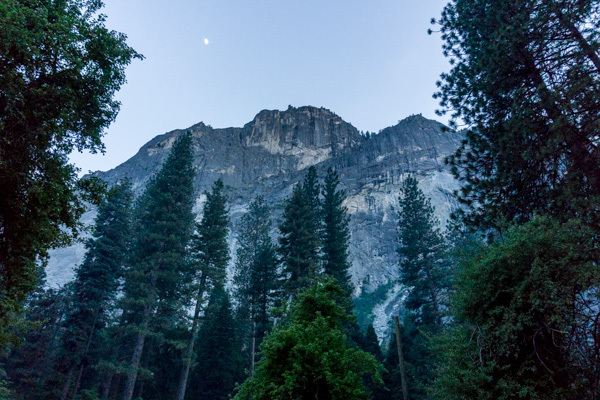 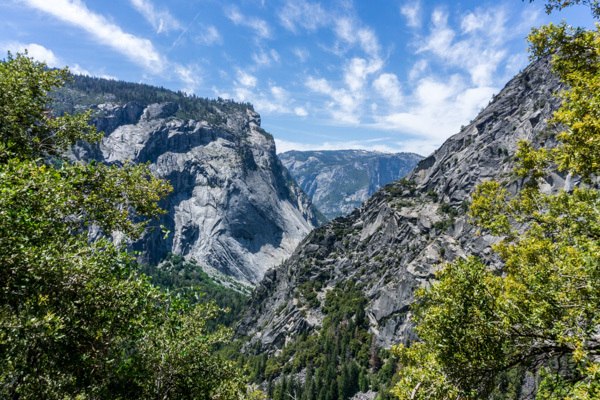 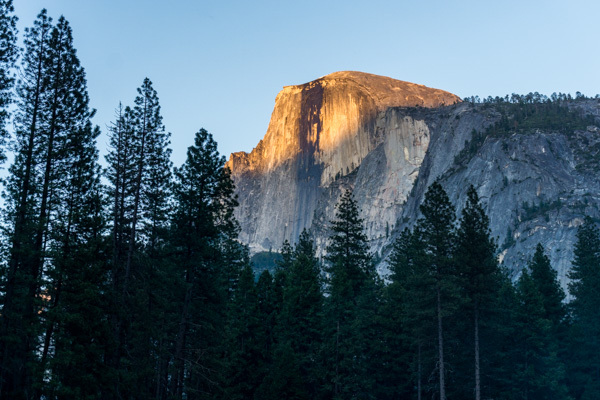 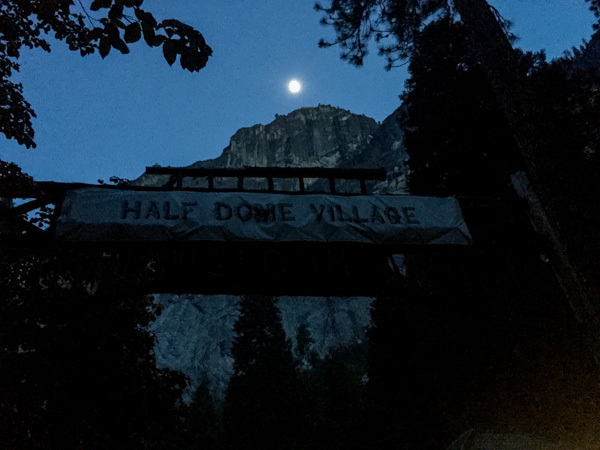 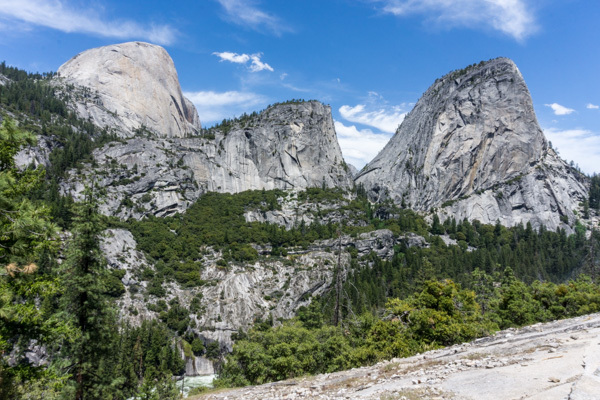 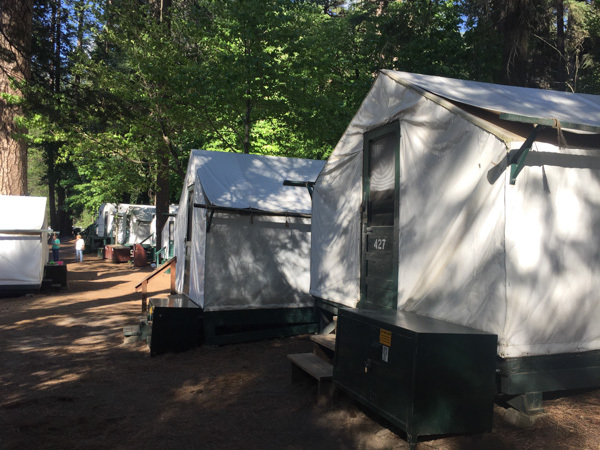 For my first visit to Yosemite National Park, we stayed in the tent cabins at Half Dome Village and explored a bit. 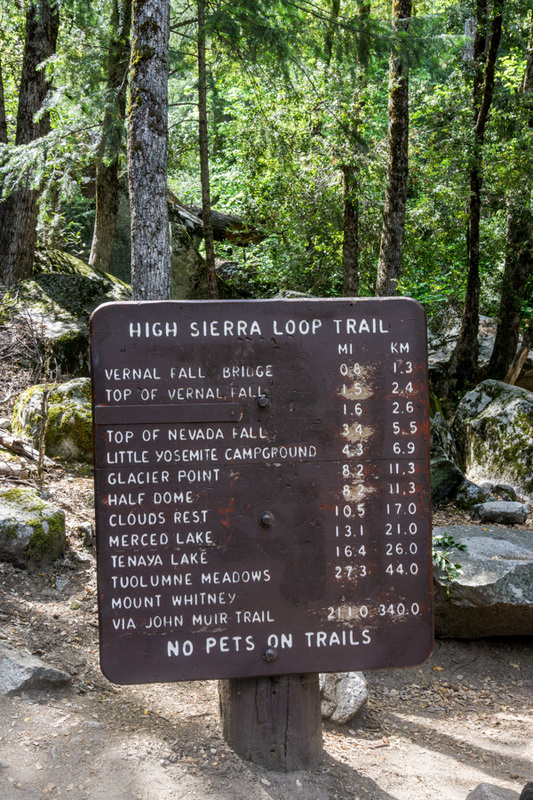 We did a loop hike on the Mist Trail to Vernal Falls, returning via the John Muir Trail. 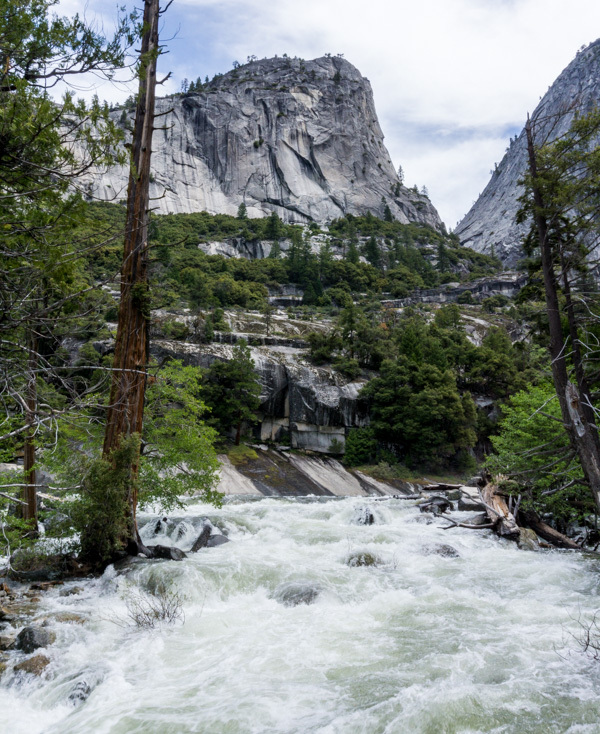 With this year’s heavy snowpack, the water was running high in all of the rivers and waterfalls. 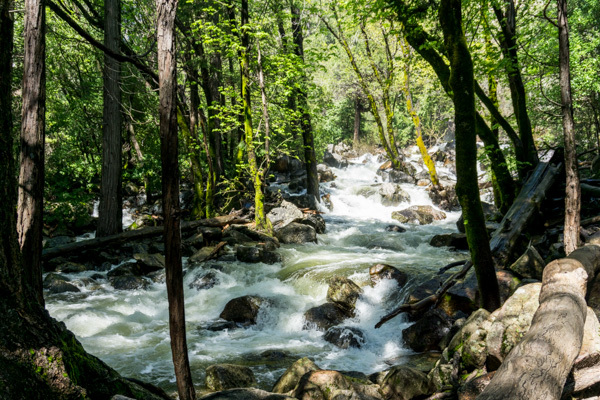 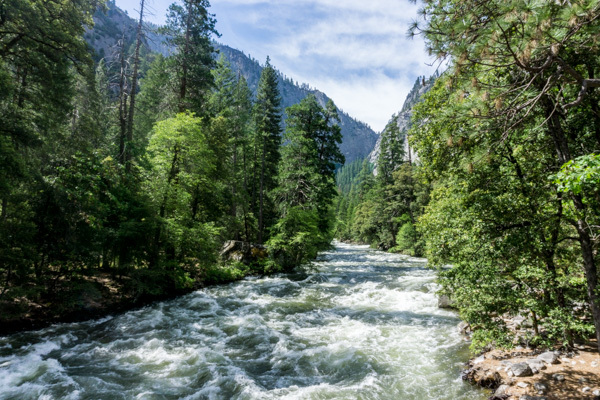 So much so that the Merced River is a raging torrent, dangerous to get too close to. 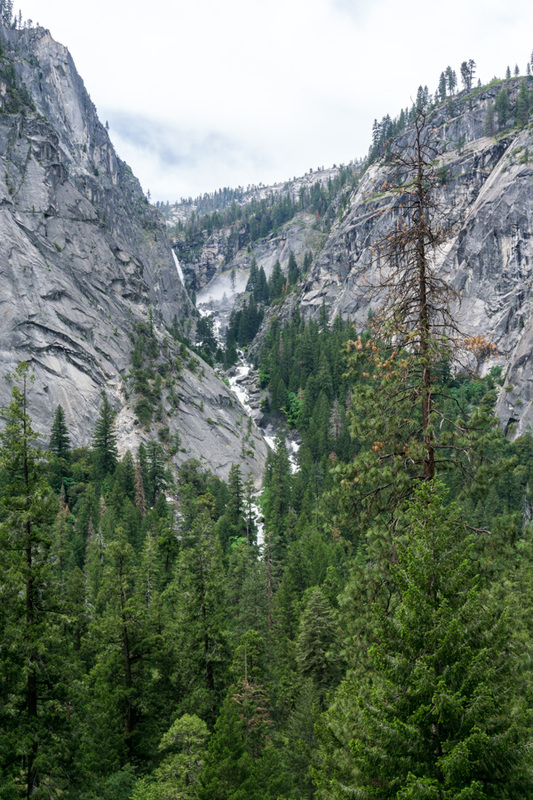 The trail up to Vernal Falls was extremely wet, much like taking a shower while going up 600 granite steps. 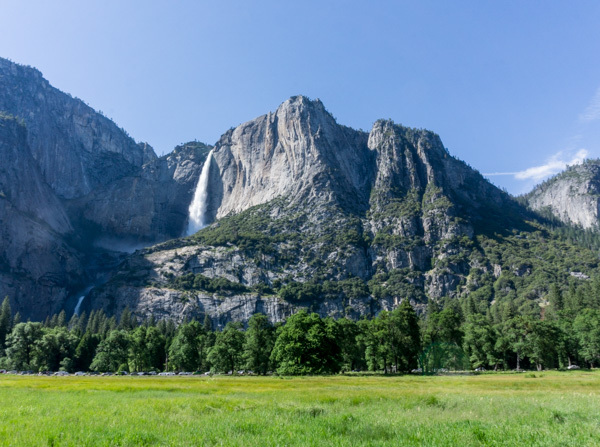 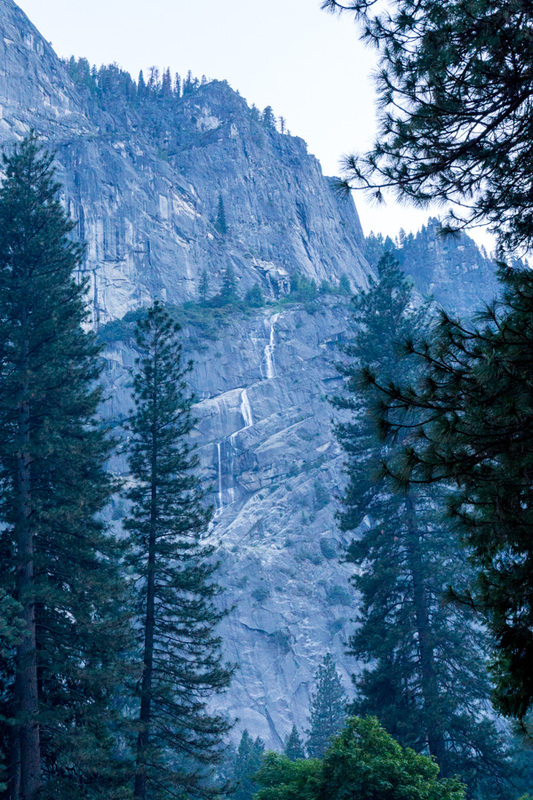 We also took short walks to view Bridal Veil Falls and Yosemite Falls. 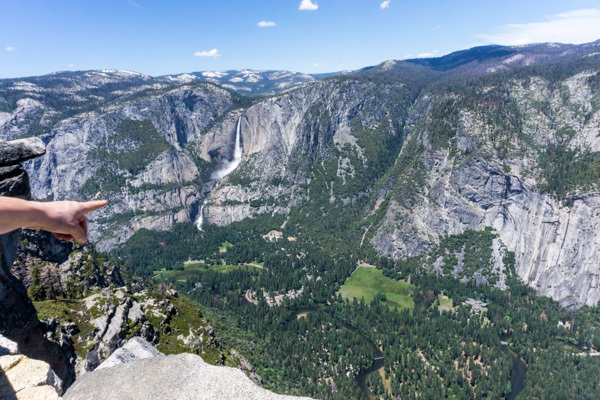 On the last day, we drove to Glacier Point for expansive views of Yosemite Valley and the High Sierras, still covered in snow. 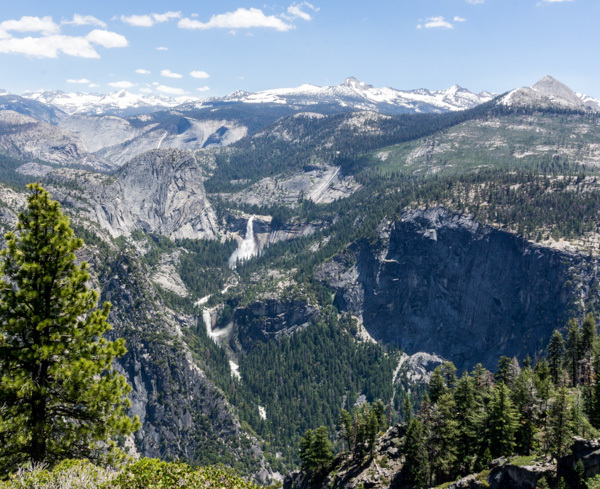 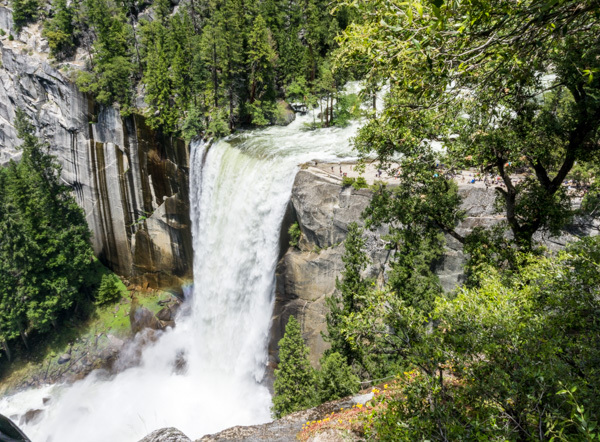 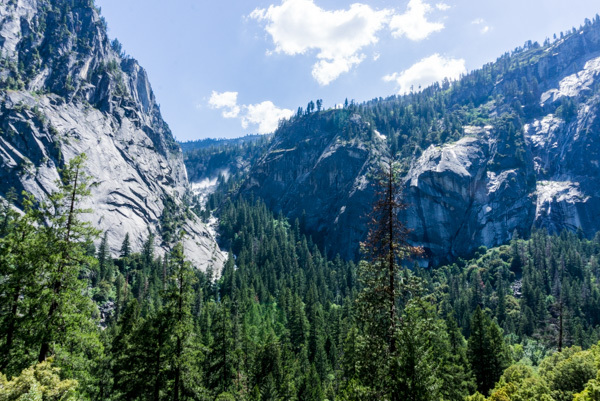 Vernal Falls – see the tiny people?